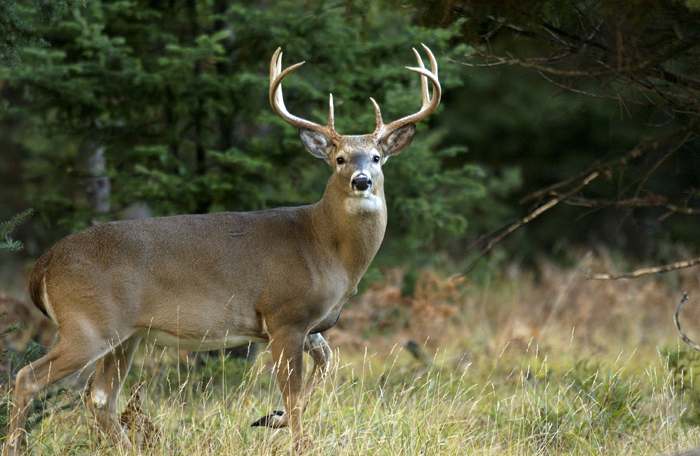 It's warm, the foliage is still thick, but you want to kill a deer, so where do you start? Although the early season offers its challenges there is probably no single time of the year when deer are on any more predictable of a pattern, with the exception of late-season, than they are before the rut. 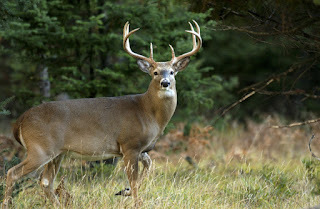 The key to getting your deer is to hunt with proactive rather than reactive purpose and planning. Proper scouting and preparation will have you in front of the whitetail curve and not behind it as so many unfortunate hunters are. This where the adaptability and resourcefulness of a prepared hunter is the key for hunting success. I'll be the first to admit that hunting the chase phase and peak rut is tremendously exciting. There's nothing quite like the madness of the November chase to stir a hunter's blood on a frosty morning. But it can also be a bit of a gamble trying to find where the "hot" does are running with the bucks in tow. By hunting smartly and diligently the early-season hunter (normally with a bow or crossbow) can have excellent hunting minus the craziness that accompanies the full-blown rut of wondering which side of the ridge the action is on. When the lazy afternoons of early autumn are still fuzzy warm and the leaves are beginning their leisurely turn of varied hues and colors the adaptable hunter will be ready and waiting for his opportunity. But opportunity doesn't happen just because we want it to, but because we've prepared for it. And preparation for early-season success is predicated on knowing where the deer are going to be in their normal daily routines before the deer does. This means knowing where they are likely to be bedding, feeding, and watering. In many parts of the country, including the Ozarks of Arkansas, Missouri, and Oklahoma where I hunt, there is a transition in early fall from browsing to feeding on the autumn mast crop. By knowing where the white, red, and post oak trees are, I can be prepared for deer movement to adjust as the acorns begin to fall. Like clockwork, the deer sightings along field edges subside sometime in September as the deer move into the timbered areas to feed on the available acorn crop. Likewise, if you're hunting in an agricultural area you need to be in tune with the ongoing harvest of corn and soybean crops. Whitetails will absolutely begin to hammer these crop fields before the farmer's combine has even cooled off from the day's harvest. When it comes to acorns, it's hard to beat the white oak as a perennial favorite. Here in the Ozarks, the chinquapin oak, is also a favorite and will draw deer to feed heavily. By knowing your trees and your acorns the adaptable hunter is already prepared to key in on a food source when he finds a tree or group of trees laden with acorns. It's like an invitation to a banquet for the wildlife in a particular area and for the hunter. It's a golden opportunity to have a stand pre-positioned for the guests arrival. Water is another key in any season, but particularly when the weather can still be unseasonably warm at times. Again, proper and diligent scouting will have you in the loop on what water sources are available. This in turn, allows you to investigate and decide which water resource offers the best access for a potential ambush site. Usually the closer it is to bedding cover, the more remote and better it is. Should you be able to combine a remote pond or stream adjacent to an area where deer are feeding on acorns or harvested crops you could have a gold-mine of opportunity awaiting. No matter the time of the season, be it early, mid or late, the hunter who knows that changing seasonal conditions will affect the when and where of deer movement will be the one who will feast on venison throughout the long winter nights yet to come.